Moss Adams has built its business on the close working relationships we’ve developed with our clients. But we couldn’t have done that without hiring talented people and empowering them to help us build those relationships. Your development, advancement, and individual success are vital to our future—and yours. That’s why we invest in you and make sure you get the mentoring and coaching you need to build a meaningful career in public accounting. Our professionals have expertise in many technical and soft-skills disciplines. We’d be thrilled to engage your BAP chapter in career development and advancement; creating a diverse network; training on technical topics in the fields of assurance, tax, and consulting; networking skills; team-building activities; and much more. We also encourage you to take advantage of the recruiting programs we offer, including mentoring programs, career days, leadership conferences, and internship opportunities. Moss Adams is a fully integrated professional services firm dedicated to assisting clients with growing, managing, and protecting prosperity. With more than 2,600 professionals and staff across more than 20 locations in the West and beyond, we work with many of the world’s most innovative companies and leaders. Our strength in the middle market enables us to advise clients at all intervals of development—from start-up, to rapid growth and expansion, to transition. Connect with Moss Adams and discover how you can go further. Faster. Silke is the National Campus Recruiting Leader for Moss Adams. She began her career with the firm in 2002 as an auditor in the Assurance Services department after a few years in the same practice group at KPMG. Shortly after joining Moss Adams, she transitioned off her clients and assumed a recruiter role. 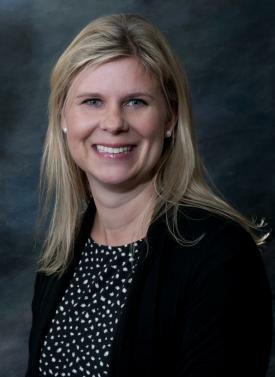 In 2008, she received the firm’s Technical Excellence Award for her contributions in the areas of recruiting, onboarding, and retention strategies. Silke received her bachelor’s degree in accounting from Western Washington University.